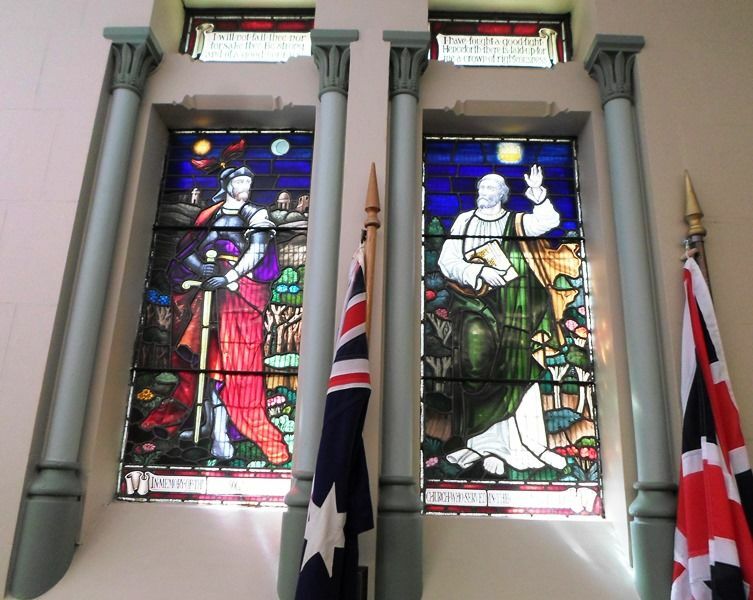 The two stained glass windows depict a warrior "Good Courage " and an Old Testament Prophet, the "Crown of Righteousness", commemorate members of the church who served in World War One. It was unveiled by Sir John Talbot Hobbs on June 20th 1920. In memory of the men associated with this church who served in the Great War 1914 - 1919.